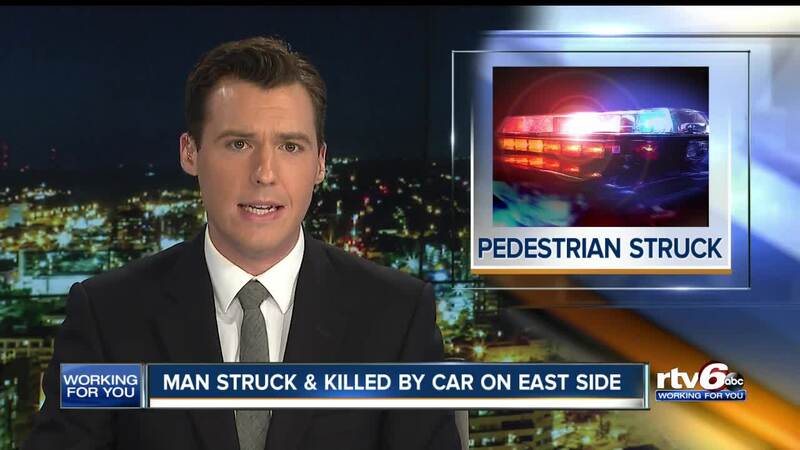 A person was struck and killed by a vehicle on Saturday on the eastside of Indianapolis. INDIANAPOLIS — A man was struck and killed by a vehicle Saturday night on the northeast side of Indianapolis. Indianapolis Metropolitan Police Department officers and emergency personnel were called around 9 p.m. to the area of 38th Street and Mitthoefer Road on the report of a person struck by a vehicle, IMPD Officer Michael Hewitt said in a press release. They found the man suffering from apparent injuries after being struck by a car when they arrived. The man was transported by medics to an Indianapolis hospital where he died, Hewitt said. The driver who allegedly struck the man stayed on scene and was cooperating with accident investigators, Hewitt said. Authorities have not released the names of the victim or the driver.